The Opening Night Film is WOMAN IN MOTION, starring legendary actress Nichelle Nichols (best known as Star Trek’s Lieutenant Uhura). Nichols is also arguably the single most important figure in history for the recruitment of women and minorities in the field of space exploration. She and other tars from the film will be in attendance for the Opening Night Film and Party and will participate in a post-film Q&A with the audience. Tickets to the Opening Night Party can sample food and cocktails from your favorite local spots, and enjoy an open bar at Eden Bar! Did you know early versions of The Blair Witch Project were test-screened at Enzian, and it was also the opening night film of the 1999 Florida Film Festival? To this day, this film is still the highest grossing film ever in the 34-year history of the theater. The Florida Film Festival is hosting a very special 20th anniversary celebration with a rare 35mm screening of the low-budget supernatural chiller that started a revolution. Stick around for a post-film reunion featuring cast and crew members with purchase of the Backstage Pass! General Admission Tickets are $60. For an opportunity to meet Mr. Dreyfuss, you must buy a Producer Pass. The Florida Film Festival welcomes Academy Award®-winning actor Richard Dreyfuss, with a special screening of his classic film, The Goodbye Girl, followed by a live Q&A with him. Foosballers focuses on the underground sport of professional foosball, or table soccer, and follows six of the best foosball players in the world as they prepare for the sport’s biggest event: The Tornado World Championships. The film was produced over a three year period and heavily features Florida resident and multi- world champion foosball player Tony Spredeman. Producers filmed with Spredeman in several locations throughout the state, including Tampa Bay, Gibsonton, Ruskin and the Chassahowitzka River. Team USA Foosball members Tony Spredeman, Ryan Moore, Robert Mares, and Todd Loffredo (who are all prominently featured in the film) will be doing a meet and greet before the screening and will participate in a Q & A with director Joe Heslinga after the show. Have you picked your favorite films of the Festival? At the annual Awards Ceremony, you’ll be among the first to find out if they’ve won prestigious Jury and Audience Awards. Dinner and an hour-long open bar are included in the ticket price and will be served before the Awards Ceremony. As if that isn’t enough reasons, this year’s Florida Film Festival is hosting 54 features and 126 shorts, including more than 20 world premieres. You have the chance to support independent cinema, with individual tickets starting at only $12! Passes and ticket bundles also available. 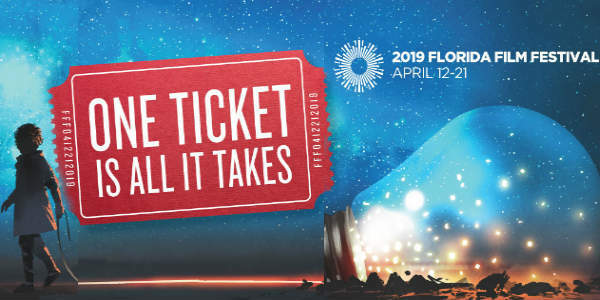 For everything you need to know, from film summaries to showtimes, and to purchase your tickets (including special events), visit FloridaFilmFestival.com.